Please contact the Sports Department if you have any queries (sport@wgc.school.nz). The WGC Sports Department is responsible for all sports outside of classroom hours. We promote and encourage fair play and good sportsmanship at all levels. We have over 20 different sports available and students can choose to play in teams that have been trialled and selected or they may put teams together with friend groups. These social teams play in the same competition as the trialled teams. We encourage all students to participate and enjoy the sports offered at WGC. 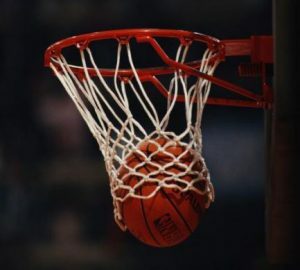 WGC has a policy of equal playing time over the season – except for the top team in each sporting code – and coaches are informed of this at the time of signing up to coach. Please contact the WGC Sports Office if you have any concerns. We will do our best to accommodate everyone in their chosen activity but occasionally we cannot place a student in a team. A refund will be made should this occur. 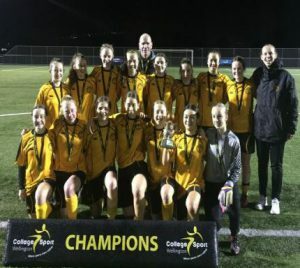 Each year a number of our Senior teams go to tournament. These teams are Hockey, Football, Netball, Underwater Hockey, Basketball, Athletics, Rowing, Skiing and Volleyball. Because Junior teams do not go to tournament unless they are exceptional, every 1st team is open to juniors who have the ability to play at that level. Tournaments usually cost between $400 and $800 per student. We encourage the girls to be proactive in their raising of funds for these trips early on in the season. The school receives some funding but this can’t be guaranteed. Most top teams will be issued uniforms which are to be returned at the end of the season. Uniform requirements will be kept to a minimum but in all cases the uniform is non-negotiable. Our various sports uniforms are registered for sporting codes and must be adhered to. The WGC standard PE uniform for juniors is black WGC shorts (NOT bike pants or ¾ pants), the black and gold WGC polo shirt, white socks (not black) and sports shoes. Most playing uniforms will be the official WGC PE uniform, so seniors will need to keep the WGC PE uniform when moving up from the junior school. 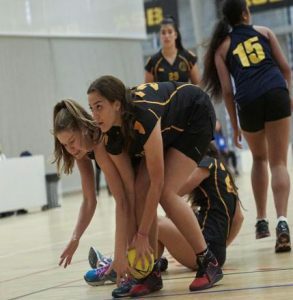 Some sports codes wear a black skirt instead of the shorts, such as hockey and netball. Shorts can not be worn when a skirt is the official uniform. All items are available from NZ Uniforms, 168 Thorndon Quay. IF YOU PLAY SPORT FOR WGC, THE BLACK WGC HOODIE (ZIP UP OR PULL OVER) IS NOW AVAILABLE FROM NZ UNIFORMS FOR $70. THIS HOODIE CAN BE USED FOR ALL EXTRA CURRICULAR ACTIVITIES AT SCHOOL, BUT IT IS NOT PART OF THE OFFICIAL SCHOOL UNIFORM. SOME STUDENTS ALREADY HAVE A BLACK HOODIE WITH THE GOLD WGC LOGO, AND THAT IS ACCEPTABLE. When you buy sports shoes from Shoe Clinic, $10 per pair goes back to WGC. The money will be donated to a senior girl(s) who has given her time and energy to the sports programme and it will enable her to buy sports shoes. This compulsory day is a combination of competitive athletic events and fun Inter-House activities. The school Athletics representative team will be selected from these results. The school Athletics representative team for the Girls Zone Meeting – Thursday 7th March Newtown Park – will be selected from the times recorded (not race placings) at the WGC Athletics Day. Those athletes who qualify from the Zone competition will participate in the CSW Championships – Thurs 14th March at Newtown Park. 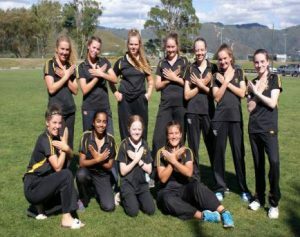 The Wellington Secondary Schools Team will then be selected to compete in the North Island Championships being held 6th-7th April, in Tauranga. WGC athletics singlets, available from the sports office. These can be borrowed for one-off events. Badminton is played at a competitive and social level for Interschool competition for all age groups. Teams are made up of 6 students and at least 4 must attend every match. Students may select their own teams. Registration forms must be submitted online (via WGC4me), and payments made, by Friday 29th March 2019. 1 lunchtime per week or before school – optional. Students must bring their own rackets. The Senior A team will compete in school exchanges. Trials for the Senior A and Junior A teams are held in March. Senior A trials are open to all year levels. Various Secondary Schools in Wellington and Badminton Hall, Hataitai. All other teams – WGC P.E. Uniform , white socks and sports shoes. You MUST have your OWN Badminton racquet. Trials will be held for the Senior A and B teams and the Junior teams. Not all students can be guaranteed a position in a team. Students Year 10 and above are welcome to enter their own social team (see below for details). Games are played in school gyms in the greater Wellington area during Terms 2 and 3. The Senior A & B teams also play regularly at the ASB Sports Arena in Kilbirnie. If you are making up a social team, each player has to complete an online registration by Friday 8th March. Social teams still play in the normal competition. ONE team registration form (available online) must also be submitted by Friday 8th March. Each social team must have at least 2 parents willing to manage the team and attend weekly games, as well as a referee who can officiate weekly games. Other teams – to be arranged between coach and the team. All other teams: Black WGC PE shorts, white socks and sports shoes. Singlets are provided for all teams. Registration Forms must be submitted online, and payment made, by Friday 22nd February. If you think you can help the teams in any way, please complete the Volunteers Form, found on the Sports homepage. Forms must be submitted online, and payment made, by Friday 1st February. Middle distance athletes are encouraged to participate in Cross Country and Road Racing (Term 3 & 4). WGC teams compete strongly in local and national competitions and we encourage students from other sports to get involved in the Cross Country programme. Race distances are 2 – 4km. Optional – The Runners Club operates on Mondays at lunchtime. A teacher will take the girls to either to the Botanical Gardens or to the Waterfront. Girls need to change quickly and meet in the Gym Foyer. The Runners Club is open to all year groups. The run will be approximately 25 minutes and the girls will run in pairs or small groups depending on their ability. The teacher will be near the groups and will have a mobile. Please complete the Runners Club registration form. Black shorts, WGC athletic singlet (supplied), white socks, sports shoes. Registration Forms must be submitted online, and payment made, by Fri 29th March. Selections for the Term 1 2019 Dragonboating team have been completed. 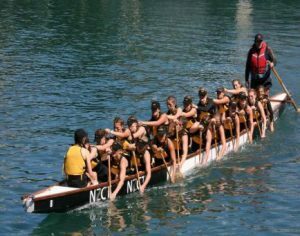 Wellington Girls’ College will enter one crew into the interschool Dragon Boat Competitions. Paddlers must be competent swimmers. Monday and Wednesdays for 4 weeks. Dates to be confirmed. 5pm-6pm starting at the Lagoon. Black shorts. Knee pads recommended. $120.00 (includes competition and training fees) but NOT the cost to attend Nationals. There will be an additional cost of a team t-shirt should you wish to purchase one. Once selected in the team, you must submit a registration form online and pay. 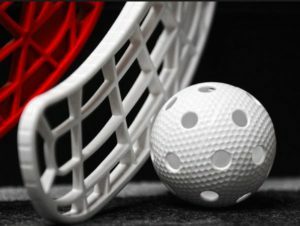 This sport – indoor hockey – is open to all year groups, and students make up their own teams with friends or sign up individually and are assigned to a team. There will also be an opportunity to trial in term 1 for senior or junior premier teams that play in the more competitive league. It is played in Term 1 & 4 at the ASB Sports Arena in Kilbirine. Registration forms must be submitted online, and payment made, by Friday 8th February. One team form must also be submitted (if you are making up your own team). “Give it a Go” sessions will be held in WGC Gym 1 at lunchtime on Friday 8th Feb & Monday 11th Feb.
WGC Football teams play in the mid-week interschool competition. The 1st XI will also compete at the National Premier Tournament (2nd – 6th Sept, Christchurch). WGC Football is not affiliated, associated, endorses or is in any way officially connected with any particular football club or academy. Students Year 10 and above, may make up a social team of at least 15 players, but at the time of entering their team, they must also nominate a competent adult coach / manager to referee their games each week. All players must complete an individual online registration form as well as submit ONE team form online. Training is optional for social teams. Tops & Shorts supplied. Two pairs of socks need to be purchased from the NZ Uniforms shop – WGC black & gold socks and plain gold alternate socks. Tops & Shorts supplied. WGC black & gold playing socks are compulsory. Tops provided, black WGC PE shorts. WGC black & gold playing socks are compulsory. WGC PE uniform, tops and shorts (no exception). WGC black & gold playing socks are compulsory. Social teams may supply their own team shirt (all the same) but the shorts and socks should be standard WGC uniform. All players must individually register online, and one team list must also be registered online. The 1st & 2nd squads will be open to Juniors and Seniors. Any senior who does not make the 1st or 2nd squads will play in the 3rd X1. Any juniors not placed in either the 1st or 2nd squads after the Trial 2, will trial for the junior squads in Trial 3. – Players are split into four un-graded groups. Each group will complete one of four skill stations set up around the field and then rotate to the next station. Scores/times/ability/attitudes will be recorded. For juniors only, who have not been selected into the 1st & 2nd X1 teams. If you are unable to attend one or more of the trials, please let the Sports Office know. A registration form must be submitted online, and payment made, by Friday 8th February. This sport is open to all year groups. It is played in Term 1 and 4. Each player needs to submit an individual online form and the team needs to complete ONE team form, also available online. – All other teams – WGC PE gear, WGC football socks (available from NZ Uniforms) and appropriate footwear. Registration Forms must be completed online, and payment made, by Friday 8th February. Handball involves the best components of basketball, netball, touch rugby and water polo. This sport is open to all year groups. It is played in Term 1 for seniors and Term 4 for juniors. (Registration for juniors will be open in Term 3). If any juniors play in the senior teams, they will need to pay the registration fee again in Term 4. Seniors – WGC PE top and black bike shorts, white socks and appropriate shoes. Registration Forms for the SENIOR team must be completed online, and payment made by Friday 8th Feb. The school will have 5 or 6 selected teams and no social teams. Only those who attend the trials will make a team. Teams train and play on turf during Terms 2 & 3. All trials will take place at the National Hockey Stadium, Mt Albert Road, Berhamphore. The trial process will run in two stages, so that every player is seen at least twice. The first trial will be split into two parts; trial A and trial B. Trial A is a trial for all new (Year 9 and new-to-school) players as well as 2018’s 4th and 5th XI returning players. This helps identify where the new players sit skill-wise as well as measuring them against players who already have at least a year of secondary school hockey. Returning 4th and 5th XI members will be given a chance to show development and improvements in an area where they are not directly competing against 1st XI players. This trial will run for 90 minutes. Directly after this trial there will be a trial for returning 3rd, 2nd and 1st XI players to assess where improvements have been made, and where gaps may be, which will also run for 90 minutes. This first trial will be relatively skill based, with a number of small drills testing different skills and followed up with a number of 6 a-side games in small areas. Selectors will be ranking skill between 1-5 and making comments, both praising good skill and highlighting areas for improvement. The second trial will then also be split in two parts; trial C and trial D. Trial C will run for the first 90 minutes and will be a trial for prospective 4th and 5th XI players (and 6th XI depending on numbers). This will help place players into a team with other players of similar abilities. Stand out players from this trial will be asked to stay on for the following trial (trial D) if need be. Trial D will be for prospective 1st, 2nd and 3rd XI players where the selectors will be looking to place players into their relevant squads, this will also run for 90 minutes. This trial will consist of a number of short 11 a-side games where selectors will look and see how players play in games, focusing on gameplay skills, positional aspects and ability to play with other people. Fitness will not be tested at either trial by ways of a fitness test as the hockey season is a long and hard two terms and you should not be at peak fitness by trials. This also shows that you’ve had a break from hockey or taken up another sport over summer. However, a base level of fitness will be required to impress during the drills and games to allow us to see you play at your potential. From these two trials the selectors will go over the notes and will name squads for the 5 or 6 teams. They will allow for some movement as the 1st XI will name a bigger squad to take away to pre-season games. Shortly after final teams will be announced. It is important to note that previous years’ teams will not be taken into consideration when choosing teams and will only be used to split the first trial up. The teams will be made up of the best 13-16 players available for that team. 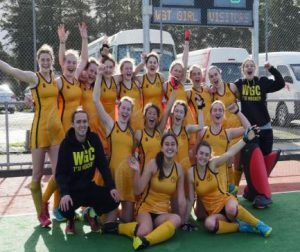 Selectors will be made up of a mixture of WGC Hockey coaches, previous WGC 1st XI players and outside independent selectors. The trials will be supported by senior Year 13 players to help run each drill. Goalies will be assessed by an independent goalie/goalie coach where possible to provide more expert opinion. If the selector happens to be a parent as well, then they will not be grading their daughter in any way. Final decisions will be made by the WGC Hockey Convenor with support from the WGC sports office. All other teams train on the WGC turf. Training times will be confirmed once teams are selected and coaches appointed. The 1st XI team will be involved in sports exchanges and is required to attend Tournament 2nd – 7th Sept, at Lloyd Ellsmore Park, Auckland. Shin guards, mouth guard (both compulsory), turf / sport shoes. Goalies are required to play with protective gear at all times. Goalie gear can be supplied by the school if required. $215.00 (cost includes team registration and turf fees). There will be a $40 refund to players selected in the 4th & 5th X1 as they don’t train on the NHS turf. Registration forms must be submitted online, and payment made, by Friday 22nd Feb, 2019. The school enters Ki-o-Rahi teams in local 1-day tournaments organised by CSW. Lacrosse is a team sport played between two teams, using a small rubber ball, and a long-handled stick. The sport has grown in popularity at WGC in the past few years. The competition is run by Lacrosse Wellington who also provide the coaches. It is played in Term 2. Lacrosse Wellington also offer stick hire. Registration Forms must be submitted online, and payment made, by Fri 15th March. In conjunction with Wilton Bowling Club, we are offering recreational Lawn Bowls for Term 1, for all year groups (4 weeks only). Girls will take shuttles to the Wilton Bowling Club but must make their own way home. Registration forms must be submitted online, and payment made, by 22nd February. 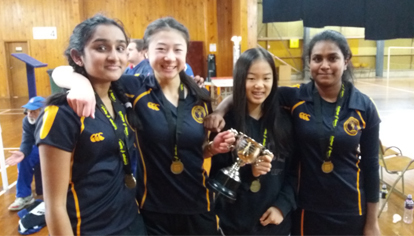 WGC has the largest number of teams of any school or club competing in the Wellington Netball Centre competition, with 43 teams competing in 2018. 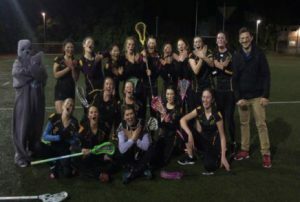 The Junior A team will compete in the CSW Junior tournament at ASB Sport Centre on August 8th and the Senior A, B and Junior A teams will be involved in various interschool exchanges. Senior A and B dresses supplied. Senior C, D and Junior A teams, tops supplied, player’s own black skirt. 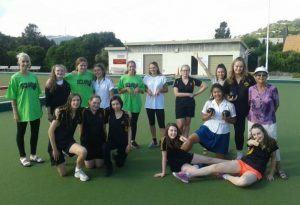 All other teams – black skirts and black and gold WGC PE sports shirt, white socks and supportive shoes. Bibs, balls and gear bag are supplied to all teams and must be returned at the end of the season. The process begins for year 9s with a “pre-trial” run by the Sports Office during a PE class. A number of simple netball drills are completed by the small group and they are graded into 4 ability groups, 1, 2, 3 and 4. This is purely a starting point. 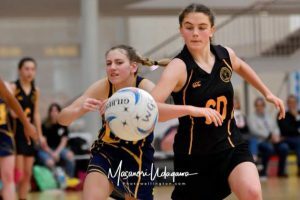 Past netball history is not taken into account, on purpose, as many girls have possibly missed out on rep teams unfairly and vice versa. There is also a huge change physically in girls from one season to another. We like to give everyone a fair chance. This grading then gives a rough platform for the first trial. For the first Year 9 trial, teams will be made up from the 4 groups. On the registration form, girls have been asked for their favourite 2 positions. 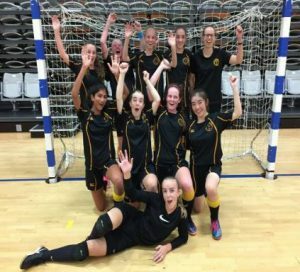 Girls are then put into trial teams – in their first position where possible – which are made up starting from the lower group ie the 4s, and moving upwards. It is then easier to hold a player over for a later trial if she is deemed more able than the others. The same 14 girls are kept on the court for about 30mins. With about 10 mins to go, selectors stop the game and ask if girls would like to trial at another position. Selectors – working in pairs – grade groups 1 – 5. Two courts run at the same time and a moderator moves between courts to ensure the selectors are marking at the same level. At the second trial the girls have then been sorted into 5 groups, and the same process is used ie start making up trial teams from the 5s and move up. Selectors grade 1-5 again but with a + and – option so when it comes to making up the teams there are 15 levels of grading and we know who is slightly better than the others. Year 10s through to seniors are done in a similar fashion. Depending on the team they were in last year, the girls are pre-graded 1-5. Selectors then have a starting point for the trials which continue as above. There is plenty of movement between grades as girls often grow, become more co-ordinated and “find their feet” from season to season. The netball convenors then put teams together according to the grading and feedback from the coaches from the previous year. The Junior trials (Year 9 and 10) are completed with a mini tournament at WGC where girls are looked at again. If they are not in the right team, it will be very evident. We use a number of very experienced selectors. If they are parents, they will not be grading their daughters in any regard. Girls get seen by a variety of selectors over the course of the trial process. Independent convenors will place girls into teams. We would recommend that trialists get to at least 2 out of these 3 trials. All Year 9 & 10 players are expected to be available for this mini tournament. It is held at school. Junior players will be in provisional teams until then. Selectors will use this opportunity to ensure players have been placed accurately in teams based upon their ability and performance in trials. Year 10 – 13 students can make up their own team of 10 players (no less) plus appoint a parent manager, in consultation with the Sports Office. Social teams play in the same competition and grades as other teams. It is the responsibility of these teams to find their own coach if they want one. One team form per team needs to be completed online and returned to the Sports Office, but each player still needs to complete their own registration form online and pay the fee. Teams will not be entered until ALL players have registered and paid. We are always in need of coaches and managers. Coaching support is provided before and during the season. Please indicate your interest on your daughter’s registration form. Netball Wellington runs excellent coaching courses. See the details on their website http://netballwellington.co.nz and register early. Senior students who wish to coach should register their interest by completing the ‘Student Coach Form‘. There will be courses held at school for senior students wanting to coach. Student coaches will be expected to help at the Junior tournament on Sat 16th March and attend a short coaching clinic in the afternoon. Umpiring is compulsory for Collegiate 1 grade players and above. If you are a parent who is considering doing some umpiring, please see Netball Wellington’s website for information on their umpiring courses. $145. This must be paid before trials. If students are selected in a team that ends up playing outdoors at Hataitai, $20 will be refunded. 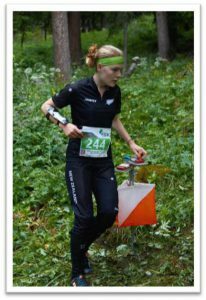 Registration Forms must be completed, and payment made, Friday 15th Feb.
WCG enters a number of orienteering events throughout the year. Please watch the daily notices for meeting times. Runners’ Club at lunchtime mid week or/and your own training. Entry Fee and travel costs to be advised. Registration forms must be submitted online by Friday 8th February, 2019. The school rows by affiliation with the Star Boating Club. Rowing is not for you unless you like to be really fit and are prepared to attend all sessions regardless of the weather or the hour of the day. 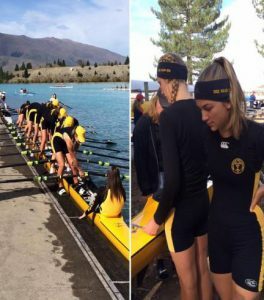 Participants must be prepared to work at fitness all year and if you become a senior rower, training for New Zealand Secondary School championships is an intensive daily activity. The summer season runs from the start of Term 4 until the end of Term 1. Rowing incurs considerable costs. Fees are between $3000 and $4000 a year to cover transport, accommodation and food for training camp and regattas. Places are restricted and fees are not paid until you are placed in a regular programme. Approximately 12 new rowers begin in September – October of each year, mostly from the junior school. Watch the Daily Notices and the Sports Notice Board in Term 2 or 3 for trial information. A committee of WGC rowing parents helps to organise transport, accommodation and food for training camps and regattas. 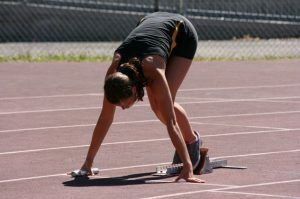 Summer training usually involves 3 to 4 sessions a week. These sessions are 2 hours long and involve rowing on the harbour or doing fitness training in the Boat Club. They are generally held from 6am to 8am or 4 pm to 6pm. If you row as a senior, training is generally 5 to 6 days a week. In the lead up to major competitions such as Nationals (Maadi Cup), students can be training up to 2 times a day every day. There is a one-week training camp held every year during the summer holidays. During the first half of the season, the rowing competitions are club events with rowers competing for Star Boating Club. Regattas are generally held on Wellington Harbour, Lake Horowhenua, the Manawatu River, the Whanganui River or Lake Karapiro (Cambridge). During the second half of the season, rowers compete in inter school regattas for Wellington Girls’ College. 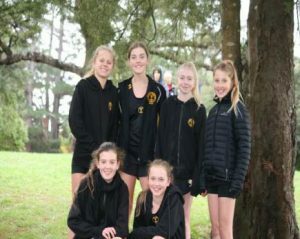 Inter school champs are held in Wellington, Lake Horowhenua, Lake Karapiro (Cambridge) or Lake Ruataniwha (Twizel). Star Boating Club uniform (unitard) for club events. WGC Rowing uniform (unitard) for inter school events. Fees are between $3000 and $4000 for one year. Extra costs are uniforms and gear like polyprops and shorts for training. WGC will be focussing on Sevens Rugby in 2019 with the plan of entering teams in the Wellington competition. The format for competition has yet to be finalised by Wellington Rugby. We will be running 4 x Give it a Go sessions, on the field at WGC. All year groups are welcome. Please register your interest in Rugby Give it a Go Sessions via the Register link. Runners Club operates on Mondays at lunchtime. A teacher will take the girls to either the Botanical Gardens or the Waterfront. Girls need to change quickly and meet in the Gym Foyer. The run will be approximately 25 minutes and the girls will run in pairs or small groups depending on their ability. The teacher will be near the groups and will have a mobile. Runners Club is open to all year groups and is free of charge. The school enters one or two teams of 5 experienced skiers in the North Island Secondary Schools Ski Championships held at Turoa in mid September. Students are initially asked to provide a “skiing c.v.” and teams will be selected from those with gate and racing experience. Girls supply their own gear. $500 per skier approximately (after team selection) for the competition and ski passes. Travel, accommodation and food are additional. 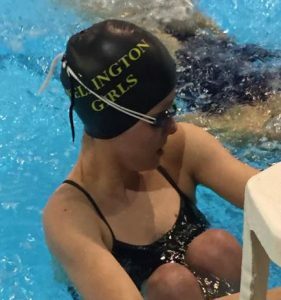 The school swimming champs will be run at the same time as the House swimming sports. The champs are open to any students at any level. Individuals may wish to attend NI Secondary School Championships and Nationals. We do not travel as a team to these events. Most top swimmers belong to clubs and have personal programmes. Contact your local pool for details about this. Mid-week interschool competition will be held in Term 1 for both Juniors and Seniors. Interschool competition is not for beginners. 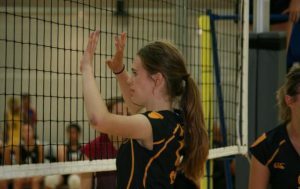 Girls need to be able to play to a reasonable standard ie serve correctly and to score their own games. 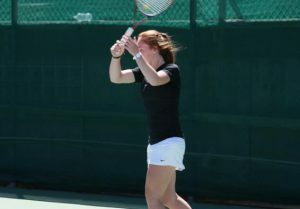 Each match now comprises of 2 singles and 1 doubles only so a team can be 2-4 players. All grades are played at schools in the Wellington area, Mitchell Park or at the Renouf centre. For competition – own racquet. Balls supplied. 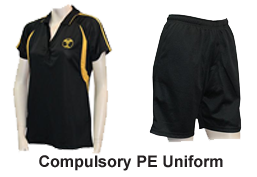 Junior Team – Black PE shorts and PE Top. Registration Forms must be completed online, and payment made, by Friday 8th Feb.
To be arranged with the coach. $45.00 (Includes a shuttle from WGC to the game only. Girls must be picked up from Wakefield Park). Registration forms for Term 1 Touch must be completed online, and payment made, by Friday 8th Feb.
UWH is a fun, fast paced game played under water in Terms 2 & 3. 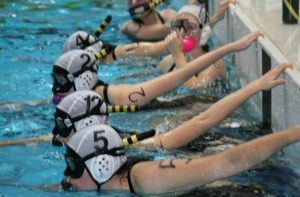 You wear a mask, snorkel, and flippers and with your team mates, you push a puck across the bottom of the pool to score a goal. Students need to provide their own sticks, snorkel, mask and flippers. Your coach will assist with information on the appropriate gear and costs. There will be gear available to hire at the pre-season “have a go” sessions. Tuesday evenings at Kilbirnie (WRAC) for Seniors. Friday evenings for Juniors. Nationals is for the Senior team only if they qualify at Centrals. The Junior team must be placed in the top 3 at Centrals to attend Nationals. 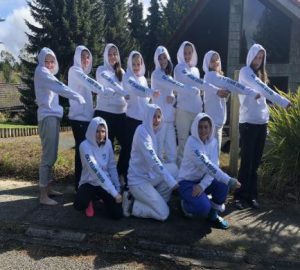 Own swimwear – team togs to be organised once team confirmed. Registration forms are to be submitted online, and payment made, by Friday 22nd February. In the school gym at lunchtime, before or after school with the days to be arranged with the coach. Games are played in school gyms throughout Wellington. – Juniors play on Wednesday afternoons. Registration forms must be submitted online, and payment made, by Wed 6th February. We have one senior and one junior team in local and national competitions. Seniors play in Term 1 and Juniors will play Term 4. Juniors are welcome to trial for the senior team. An additional swim training for the team is at Thorndon Pool – on Wednesdays 8am-9am starting on Feb 6. 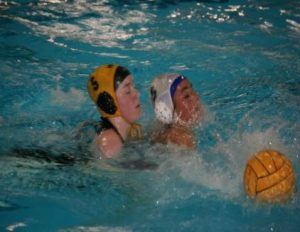 Games are played at Huia or WRAC on Thursdays 7-10 p.m. Pool entry for training and games is additional. Students playing for the senior and junior teams need to pay the fees for each term as they are separate competitions. Registration forms must be submitted online, and payment made, by 8th Feb.